Getting Grilled At MaGIC? You're Gonna Feel Awkward If You Can't Handle These Questions. Malaysian Global Innovation & Creativity Centre recently had their monthly Grill N Chill session at their Cyberjaya headquarters. 5 startups presented their 5 minute pitches followed by a 5 minute ‘grilling’ session with the invited Grillers. The most recent one had two Grillers, Shahril Shaik Hussain, CEO of Myventures Solution and Ang Kok Seong, co-founder of Helpr. The session went on for about an hour and by the end of it, I noticed that there were some intense questions being asked. It’s understandable considering it was a grilling session but it seemed that some of the startups attending were left a little taken aback. Here some issues that startups might want to fix before heading to a grilling event. This was not written to put down any of the startups involved, but to help other potential Grillees in the future. These are also issues that startups might want to address not just for the sake of being grilled, but to perfect their pitch and product for other situations. Each pitch had their strong points but there were some shared weaknesses that the Grillers caught onto. Failing to put the consumers’ interest first. If you’ve ever wondered how Apple managed to gain their rapid success, a primary reason would be their marketing using consumer behaviour insight. The power of knowing the needs of your consumers could change up your game plan quite drastically. However, it seemed like the startups during the pitches focused more on addressing their product or service rather than truly digging deep and analysing their target market. The Grillers questioned why the startups’ pitches lacked focus on consumer behaviour. The questions wer met with short pauses and awkward silences as the founders had difficulty in replying. When wanting to begin a venture, you have to do your research. Statistics, numbers and figures should be featured in the presentation deck for validation purposes. However, not all the startups presenting were able to show this type of data. These were some of the questions that popped up when the Grillers realised how some of the pitches lacked this information. Shahril brought up that nothing gives a better impression than when you have the information you need at the tips of your fingers. “If you’re saying your target market is a certain ethnic group, you should be able to have the statistics of how many people constitute that group and how their consumer behaviour is,” said Shahril. Finding the right balance of mentioning features and competitors. A staple that comes with startups and their pitches is a slide showing the different features their service or product has compared to their competitors in the industry. They’ve worked very hard to develop some of these features, so it’s understandable that they might devote more time to talking about them. Too much time, in the Grillers’ books. It seemed that the Grillers wanted more justification for the time spent on this slide, and the startups could not reply. So What Can Startups Do? Make sure you understand your product and market. Startups need to be able to tell the market size and potential audience needed to make their idea valid. The features of a product or service may be important but in the end it’s all about how a company generates revenue. “It’s time to stop behaving like a startup when we should be behaving like a business,” said Shahril. He gave an example of Uber, where it doesn’t focus primarily on the number of drivers but rather on the passengers. The more passengers that are satisfied with the service, the more drivers that can be added to cater to this demand. “You don’t want 100 packages and no buyer. You should aim for having 1 package but attract 1,000 buyers. 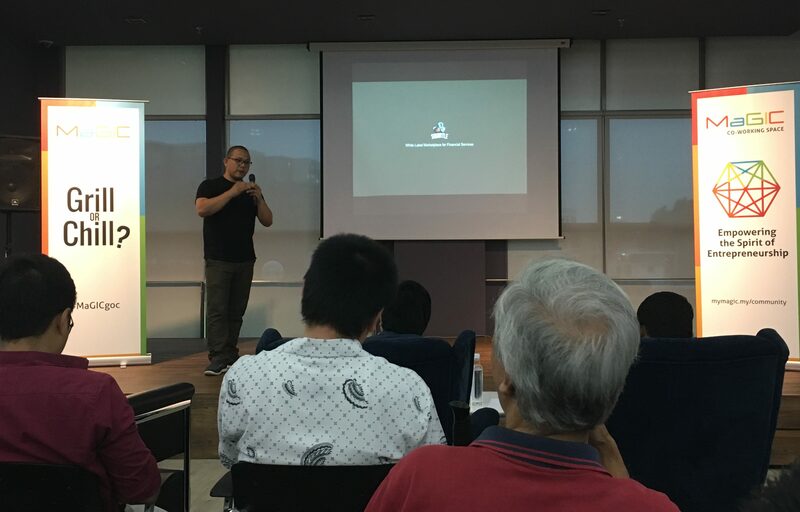 So don’t focus too much on expanding or offering a lot of packages when you should be figuring out how to make that 1 package that has a high market value,” said Shahril. Make sure the right numbers are there. One of the startups brought up the issue of building trust with consumers. Shahril responded that this be solved so long as numbers and facts are presented during the pitching session. “For websites, I highly recommend keeping track of the traction so that we can see the direction you’re headed on. Once you have figures and numbers to back up your statements, trust will follow so that won’t come as an issue anymore,” said Shahril. Kok Seong mentioned the importance of metrics and how it plays a huge role to market players. He advised for startups to continuously monitor these and present them during pitching for more validation. “What we’d like to see more during these sessions is your traction. Many things on the cosmetic part of your venture can be worked on later. But you need to have at least one solid product, one product that can sell and one heck of a sales team. The traction is the result with the journey being the effort your team has made,” said Shahril. Make sure you stay unique. “I believe that you should never ever fight on features. Create something that’s uniquely yours so that you can ensure your position as a top player in your industry,” said Shahril. Kok Seong echoed this sentiment by saying how that claiming your competitors lack a certain feature does not give an advantage to your own venture. “What if one day your competitor decided to add that feature and then improve themselves more as a prominent player? You’d be doomed. So I strongly suggest finding that angle or edge that can make you stand out from the rest,” said Kok Seong. No matter how much you may dislike your competitor, it is never a good idea to bad-mouth them. “You can do it as subtly as you can but it’s best if you can acknowledge your competition because that shows how you’ve done your research. We’re not telling you to shout out their name but a mention of their brand would be good,” said Shahril. Kok Seong says how more than showing the main difference between you and your competitor, it’s always good to learn from them and analyse how they stay ahead so you can emulate it as well.